A house number can seem the smallest of details but, for visitors, it is more often than not the first detail of our home they will see; the name or number that identifies our living space. To really call the place where we live 'home' we really need to own it, not in financial terms, but stylistically. Therefore, our homes should reflect our personality and what we are all about. So why not start from the very beginning; with the entrance to the 'world of you'? 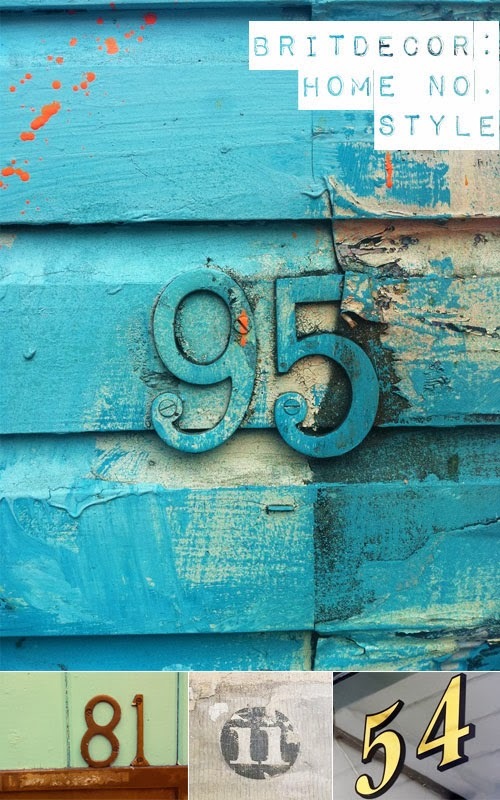 House numbers don't have to be brand new and squeaky clean, they can be old vintage finds, handmade or maybe ones inherited with the property. So can we really tell who lives in a house just by a sign? Probably not but we can have fun guessing, right? Like a magpie, my eyes are always drawn to brightly coloured signage, and there is something so cheery and welcoming about vibrant house numbers; surely a social butterfly would live here? Equally, some of the urban-style bold and blocky typefaces in monochromes or greys can create a slick and minimal look, which suggests this is the abode of a career professional...perhaps. Thanks to the likes of Artists like Banksy, the stencilled look is also big right now and this can be both a highly cost-effective and creative way of customising your very own design - what better way to tell people 'a creative lives here'!? Having previously lived in the city of Bath several years ago, I have a huge appreciation for the many vintage hand painted numbers emblazoned onto the Bath stone, usually positioned above the door (like the number '11' above). Whether faded originals or freshly restored, the crisp detailing is stunning and it's easy to appreciate the skill that went into painting these. 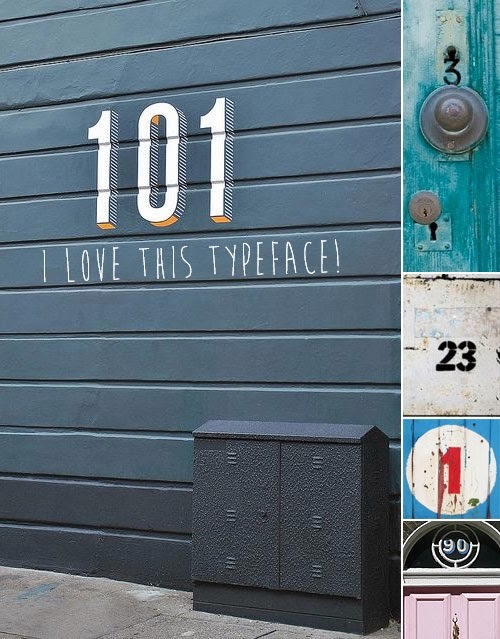 However, bringing this concept into the 21st Century, I am really taken with the '101' graphic below and how striking the white and orange looks against the slate grey wood panelling. I think it's safe to say that there is something for everyone - so which style are you?